Consistent Life, formerly the Seamless Garment Network, has worked to move the mind of the community to respect every life: the prisoner on death row, the child in the womb, people threatened by war and poverty. Now we are celebrating our 25th Anniversary and looking to shape the future of the Consistent Life Ethic. 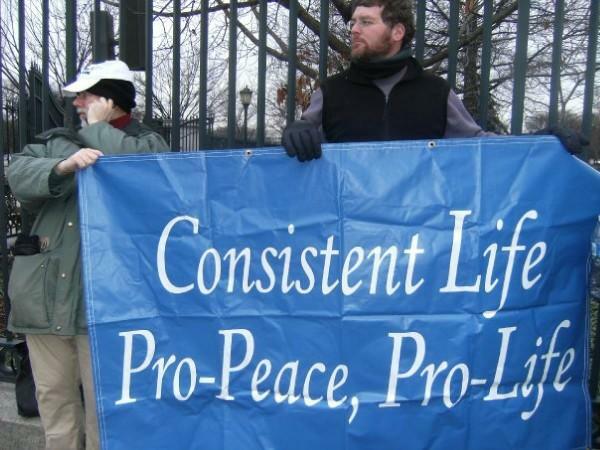 Founded in 1987 at a conference of peace, justice and life groups, Consistent Life is committed to the protection of life which is threatened in today’s world by war, abortion, poverty, racism, capital punishment and euthanasia. We believe that these issues are linked under a ‘consistent ethic of life’. We challenge those working on all or some of these issues to maintain a cooperative spirit of peace, reconciliation and respect in protecting the unprotected. The 25th Anniversary will be celebrated at a conference hosted by Consistent Life in Chevy Chase, Maryland, March 9-11, 2012. 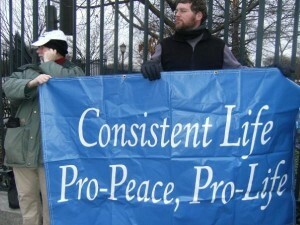 Attendees will have the opportunity to meet and network with a diverse group of national/international Consistent Life Ethic supporters which include about 200 member groups such as: Evangelicals for Social Action, Feminists for Life of America, Secular Prolife, Orthodox Peace Fellowship in North America, Disabilities Perspective and many more. Major plenary speakers at the Conference include the Rev. Dr. Johnny M. Hunter, National Director of the Life Education And Resource Network (LEARN, Inc.); Dr. Catherine Meeks, a distinguished activist, writer and speaker; and Aimee Bedoy, youth activist and Executive Editor of Life Matters Journal. There will be panels and workshops on Consistent Life Ethic topics such as historical retrospective on the movement, integrating faith and secular views, educations of youth on life issues, nourishing the Consistent Life Ethic in today’s political climate, and plans for the next generation. There will be gatherings of religious and other constituencies, and an optional public witness action. For further information, please visit the Conference web site or the Consistent Life web site, or contact Bill Samuel at president@consistent-life.org or 301-943-6406.